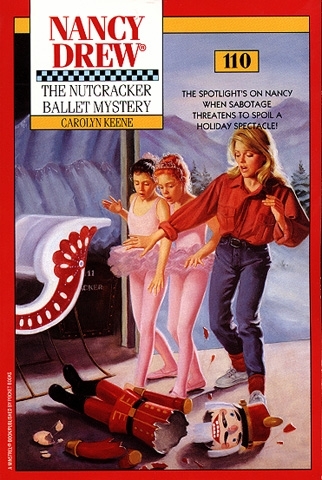 An evening of ballet leads Nancy into a dance with danger! Madame Dugrand’s Dance Academy is in rehearsal for The Nutcracker Ballet, and it could be a huge hit this year. Shana Edwards, a recent graduate who has made a big splash in New York, is returning to River Heights to star in the show. But the closer the dancers get to showtime, the clearer it becomes that the stage is set for disaster. Someone is determined to bring the production down before the curtain goes up. Theft and arson threaten to darken the theater and doom the dance. And Nancy will have to conduct her investigation with extreme precision and agility: one false step, one wrong move, and The Nutcracker could come to a swift and bitter end.